Juanita R. Brooks is a principal in Fish & Richardson's Southern California office. She has a nationwide trial practice, specializing in complex intellectual property litigation. She has handled more than 80 trials in her career and her average yearly caseload includes more than 20 active patent cases. Brooks assisted in drafting the local patent rules for the Southern District of California. Brooks’ litigation experience includes numerous cases involving intellectual property, product liability, and qui tam litigation. 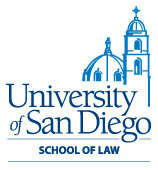 She was a trial attorney with the Federal Defenders of San Diego, Inc. from 1977 to 1980 and has been listed in Best Lawyers in America since 1987. In 2009, she was named to the Minority Corporate Counsel Association's national list of "Leading Law Firm Rainmakers." MCCA chose 14 attorneys for this honor, and Brooks is one of four women on the list. Member, Fish & Richardson's Management Committee (2005-2008); Named to Marquis Who's Who of American Women and Marquis Who's Who in American Law;Listed in Best Lawyers in America (1987-present); Daily Journal Top California Women Litigators (2002-present); Daily Journal Top 25 California IP Attorneys (2003-present), and The Daily Transcript’s Top IP Litigators (2005-present). Named one of the Top 75 intellectual property litigators in California of 2009 by the San Francisco and Los Angeles Daily Journals. 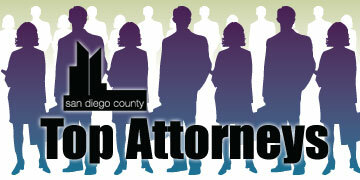 Named a San Diego Super Lawyer in 2009 and 2010. Recipient of YWCA of San Diego’s TWIN (Tribute to Women in Industry) Award and San Diego Business Journal’s Women Who Mean Business Award; Profiled in The Daily Transcript "Up Close" column featuring San Diego leaders, The Daily Transcript’s "Women's History Month" special feature, and Redbook magazine, "Winning on Appeal: The Hot New Female Lawyers." Also profiled in San Diego Magazine as one of the "Best Lawyers in America.” Board Member and pro bono counsel, Western Center on Law & Poverty (2005-present).